East Africa’s cooking experience will soon become safer and more fun, thanks to GreenChar’s award winning, eco-friendly charcoal briquettes. Most of us have likely had the same experience with the occasional use of our jikos, but those in lower income households (particularly women and children) who use jikos regularly, are severely at risk of dying from smoke pollution in their homes. The genius of this smokeless brand is that it is made from local recycled material like sugarcane waste (bagasse) and cassava peels. Smoke and particle emissions are reduced over 80% and no trees are impacted during the process. The briquettes are also long lasting, and affordable for low-income households; essential features for Tom who hails from Migori County, one of the poorest areas in Western Kenya. Green Char’s mission is to empower local women. In Migori County and Kibera where the briquettes have been launched, Green Char hires women to educate consumers about the risks of cooking with firewood or regular charcoal, and to promote the briquettes as an alternative. The response has been encouraging especially as these communities are highly resistant to change. Tom was recently selected as the youngest Echoing Green Fellow out of nearly 3,000 social entrepreneur applicants across the world. 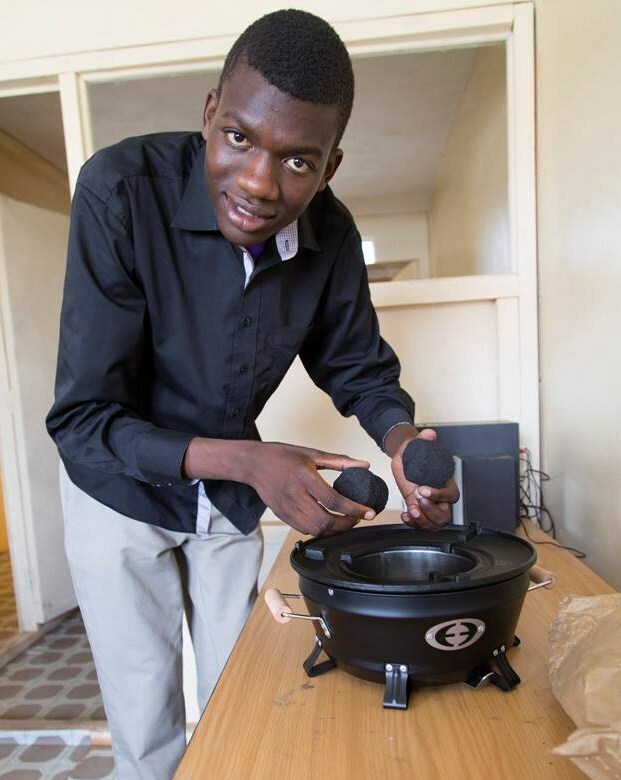 He received $80,000 in funding to expand GreenChar throughout Kenya, and eventually Africa. 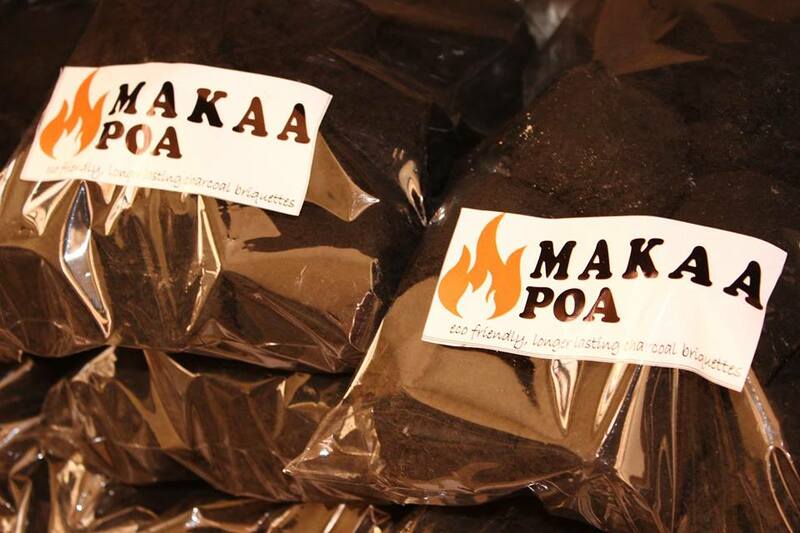 Keep an eye out for Makaa Poa in your area over the next year or so and make the switch. If you would like to order from Nairobi, contact info@greenchar.co.ke.